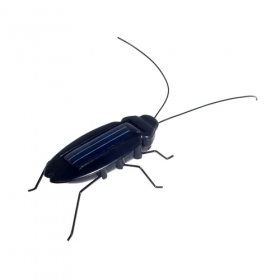 Scare your mother(-in-law) with this great solar powered cockroach toy! …most people hate them. They can be anywhere. In your bed, in your closets, in your shoes. In some bodyparts. For decades humankind tries to exterminate these creatures because… well just because! And yet they survive, already millions of years. 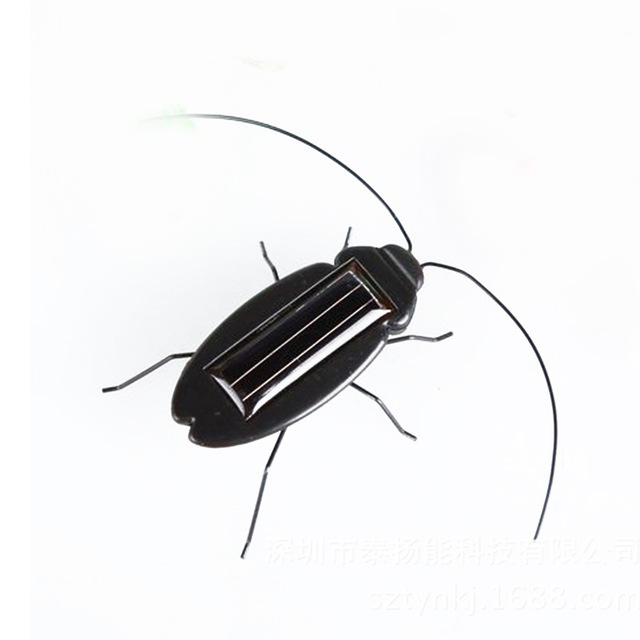 Luckily, for those who actually LIKE cockroaches, there is the ‘solar cockroach’. YEP! 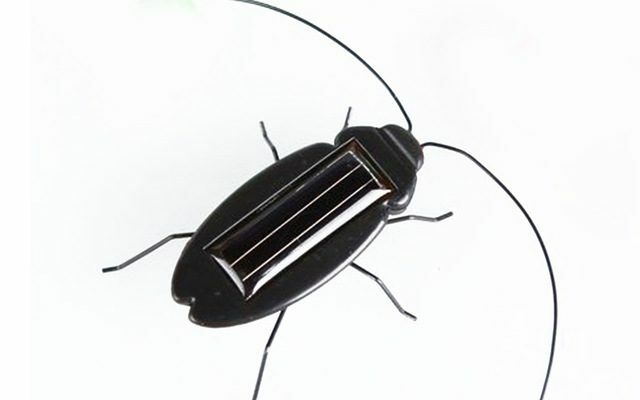 A robotic insect with a tiny solar panel on its back, providing power for the thing to walk. And thats what it does: walking around. No extra features included. I can hear you think: ‘so after an atomic war, we’ll still have cockroaches’. True! Because the REAL cockroach will survive and this bot not, because the sun will be blocked by atomic, radio-active clouds so this poor creature won’t do anything without power.